A tree planted in an open field will undergo all sorts of beatings from the elements. While some species may prefer to be beat up a bit, many species would do better behind a protected wall or other structure. If you are in the northern hemisphere, planting adjacent to a south facing wall will provide the tree with additional sunlight and warmth. This can even extend the growing season and allow your tree to produce more fruit. Check your tree species to make sure that it will like the new home you are planning for it. There are many different types of cuts you can make on your tree to make it grow in different ways. For example, pinching the top of your tree will promote stronger growth near the base and allow for the tree top to split and become two new shoots. You can also chop off branches reaching directly upwards in favor of horizontal growth. 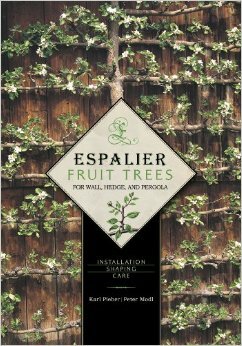 Karl Pieber and Peter Modl’s book “Espalier Fruit Trees for Wall, Hedge, and Pergola” provides great explanations and detailed pictures on how to make and choose the right cut. 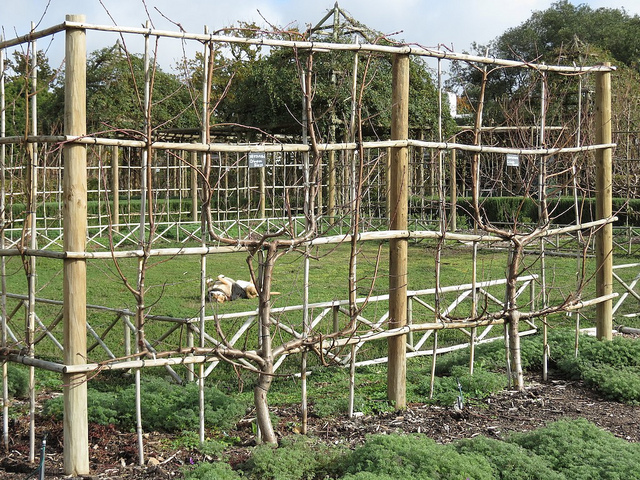 Training fruit trees to grow alongside of buildings, walkways or archways will enhance the beauty and bounty of the land. Doing so can add dimension, functionality and wonder onto any bare structure. One of our dreams is to train fruit trees to grow all alongside a walkway to form an enclosed path that is dripping with the seasons most delicious fruit. Shaping fruit trees will improve the appearance and productivity of your landscape. It is a great way to get deeply in touch with the species on your land. Seeing your little saplings take form will bring endless pride and an extreme sense of accomplishment. 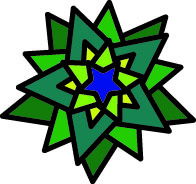 Thank you so much for sharing this article on your blog!